Genesis 14:20: And blessed be the most high God, which hath delivered thine enemies into thy hand. And he [Abram] gave him [Melchizedek king of Salem Ver. 18] tithes of all. Hebrews 7:1-10: For this Melchisedec, king of Salem, priest of the most high God, who met Abraham returning from the slaughter of the kings, and blessed him; To whom also Abraham gave a tenth part of all;… Now consider how great this man was, unto whom even the patriarch Abraham gave the tenth of the spoils. And verily they that are of the sons of Levi, who receive the office of the priesthood, have a commandment to take tithes of the people according to the law,… And here men that die receive tithes; but there he receiveth them, of whom it is witnessed that he liveth. And as I may so say, Levi also, who receiveth tithes, payed tithes in Abraham, For he was yet in the loins of his father, when Melchisedec met him. JST Genesis 14:37-39: And he lifted up his voice, and he blessed Abram, being the high priest, and the keeper of the storehouse of God; Him whom God had appointed to receive tithes for the poor. Wherefore Abram paid unto him tithes of all that he had, of all the riches which he possessed, which God had given him more than that which he had need. Does the phrase ‘more than that which he had need’ change the meaning of Abram tithing of all that he had? Is there a difference between “Abram paid tithes of all that God had given him” and “Abram paid tithes of all that God had given him more than that which he had need”? If there’s no difference in meaning, then why include those last seven words? What other scriptures can help us more clearly understand the tithe? In July 1838, Joseph Smith received revelation in answer to his supplication: “O Lord! Show unto thy servants how much thou requirest of the properties of thy people for a tithing.” The revelation is recorded as D&C 119. Before delving into section 119, let’s pause and ponder Joseph’s supplication. Why was Joseph asking the Lord how much He required of the saints? 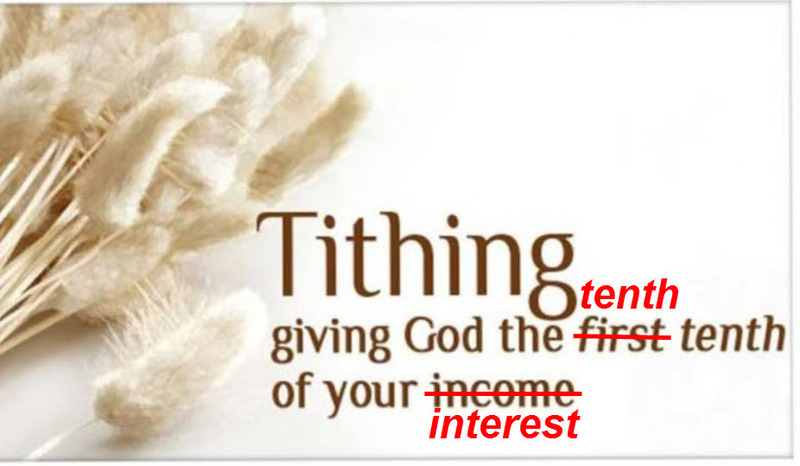 Wasn’t it commonly understood that tithing means a tenth, or 10%? How could Joseph not already know this? Was Joseph just confused over whether it was 10% of gross or net income that the Lord wanted? That seems to be a major point of discussion in many Sunday School, Priesthood, and Relief Society classes, often culminating in someone saying that they would prefer gross blessings over net blessings. We’ll get to that later. I find it revealing and thought provoking that Joseph would even ask this question. It calls into question my traditional understanding of what tithing is and indicates to me that I may be assuming a definition of tithing that I shouldn’t be? Then what is the definition of tithing, and what does it mean to tithe? 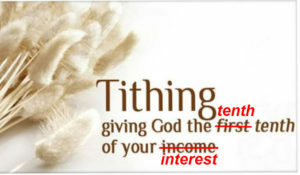 Webster’s 1828 Dictionary gives the following definitions for tithe: noun, the tenth part of any thing; but appropriately, the tenth part of the increase annually arising from the profits of land and stock, allotted to the clergy for their support; verb transitive, to levy a tenth part on; to tax to the amount of a tenth. These definitions appear to be derived from a combination of the bible and contemporary church practice around 1828. That may be helpful to understand the mindset of that time, but it doesn’t help answer the question of why Joseph would ask how much the Lord required for a tithing. What does the Lord say about it? Would you agree that if the Lord defines tithing as 10% of gross or net income in answer to Joseph’s supplication, then we can accept that as the definition for our day? What if the Lord’s response is different? Can we become teachable as a child and accept what He gives, even if it means abandoning and correcting our existing tradition? 7 And this shall be an ensample unto all the stakes of Zion. Even so. Amen. In answer, the Lord required all of their surplus property, plus one-tenth of all their interest annually. Just to be certain we understand this, let’s look at Webster’s 1828 Dictionary for contemporary definitions for ‘surplus’ and ‘interest’. Surplus: noun, overplus; that which remains when use is satisfied; excess beyond what is prescribed or wanted. Interest: noun, share; portion; part; regard to private profit; any surplus advantage. Notice that within the definition of interest is the word ‘surplus’. These definitions appear synonymous. I think we can safely assume that “all their surplus” does not amount to 10% across the board for everyone. That amount could vary from a very high percentage for a wealthy individual to as little as 0% for someone who has no surplus. Is 10% of gross or net income the same as ‘the tenth’ that was given in the Old Testament? Leviticus 27:30-33: And all the tithe of the land, whether of the seed of the land, or of the fruit of the tree, is the Lord’s: it is holy unto the Lord. And if a man will at all redeem ought of his tithes, he shall add thereto the fifth part thereof. And concerning the tithe of the herd, or of the flock, even of whatsoever passeth under the rod, the tenth shall be holy unto the Lord. He shall not search whether it be good or bad, neither shall he change it: and if he change it at all, then both it and the change thereof shall be holy; it shall not be redeemed. It was the “tenth” of the herds or flocks to pass under the rod that was holy and dedicated to God. It was not the first tenth, but rather the tenth tenth that was dedicated (hence the origin of ‘the tenth’). If a herdsman had only eight or nine cattle, he could not tithe the tenth because a tenth did not exist, and it was not required of him. Also notice that God didn’t require the best of the herd or flock, just the tenth. Does the tithe required of the Lord in D&C 119 agree with Abram’s tithe in JST Genesis 14? Does it agree with your understanding of the tithe? How was tithing understood by the early LDS after receiving D&C 119? Let’s look at a few quotes from the early saints. Genesis 28:20-22: And Jacob vowed a vow, saying, If God will be with me, and will keep me in this way that I go, and will give me bread to eat, and raiment to put on, So that I come again to my father’s house in peace; then shall the Lord be my God: And this stone, which I have set for a pillar, shall be God’s house: and of all that thou shalt give me I will surely give the tenth unto thee. ….We have to live quite short but the brethren are very kind to us. They are willing to divide with us the last they have. They are quite ignorant; many of them cannot read a word and it needs great care to teach them the gospel so that they can understand. The people here are bound down under priestcraft in a manner I never saw before. They have to pay tithes to the priests of every tenth they raise, so that they cannot lay up one cent. They are in the same situation the children of Israel were in Egypt. They have their taskmasters over them to bind them down. It will be as great a miracle to deliver this people as it was the children of Israel. There are a great many believing in Preston; we are baptizing almost every day. July 1838: Joseph Smith dictated a revelation which becomes D&C 119. It defined the tithing as a donation of all the individual’s ‘surplus property‘ at first, and one-tenth of annual interest thereafter. Whether intentional or unintentional, the substituted use of the words ‘increase’ and ‘income’ in place of ‘interest’ can lead to confusion. Not only that, but the change from ‘surplus property’ to ‘one-tenth of all they possess’ can present significant challenges to those who arrive with no surplus property (more on this in part two). In the next post, we’ll look at whether we’re clearing up any confusion over tithing in our day, and Malachi’s warning about robbing God.